This hair is bomb. Everything about it is amazing. Definitely Will be ordering again. I really love this wig. The hair quality is amazing, soft and no shedding. The seller is very nice and respond quickly to all my questions. 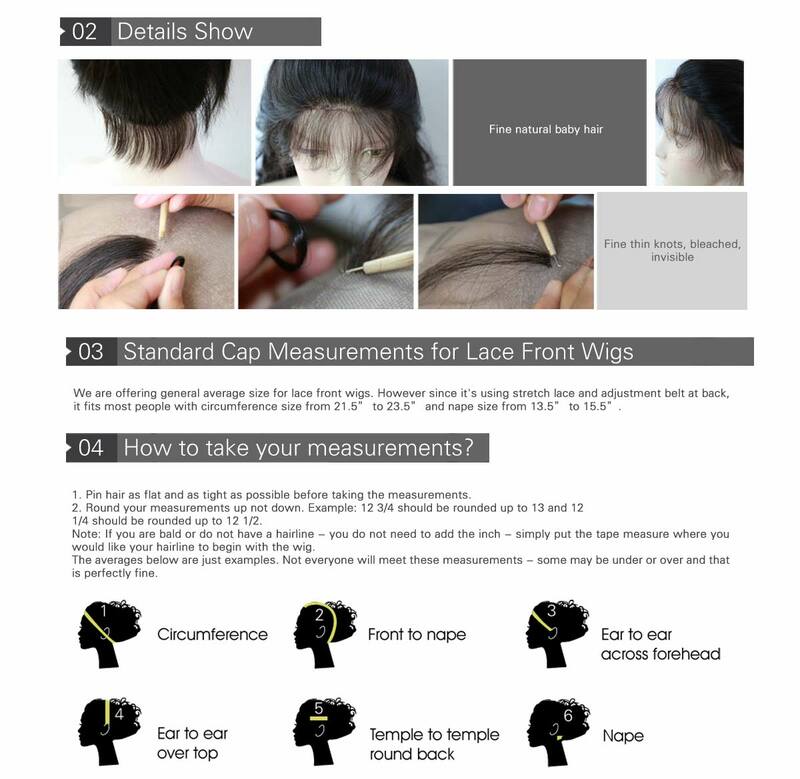 I will definitely be ordering more wig from this seller. I'm going natural and this is my first wig. I absolutely love it! The wig is very soft and really looks like your natural hair! I will definitely order again! I love this wig! This was my first time ordering a lace front wig and I am really happy with my purchase. My order arrived a lot sooner than I had expected. I washed the unit and surprisingly there were no shedding or tangles. The hair is really soft and has a nice wave. I will definitely order again from this seller. 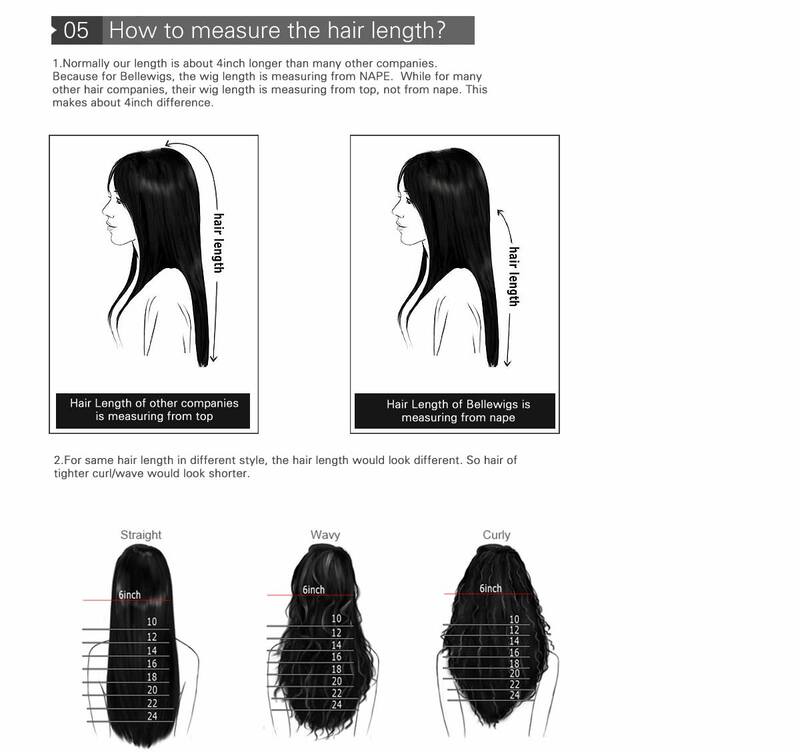 First human hair wig & it’s the best, density wise, length, construction & little to no shedding. I love this unit. I only wish the caps came in different sizes. My head is small and the adjustable straps weren't enough. But I'm pretty Savy, so I was able to attach my own straps and get the perfect fit! I'll be buying my next unit. I absolutely love this hair. Just wish it was slightly fuller in the density level. Apart from that, I bleached the knots and it's very pretty. I ordered it back in March and it still looks great now! Definitely placing another order!!! Before I begin talking about the hair, the customer service was amazing.Bessie answered any questions I had about the product prior to buying it and even once I purchased this wig Bessie still assisted me up until delivery. The hair is super soft and exactly like the picture. There is no shedding and when I got it wet at the beach it still was soft once the hair was dry. The look is very natural and I've received so many compliments about it. Some people can't even tell I'm wearing a wig. Trust me you will not be disappointed. First time buying human hair wig. I purchased the front lace with natural color. Hair was soft and easy to run my hands through. I will be purchasing more hair from this company in the future! To me it is one of the best I ve had for that price !! I always get laces that are pricier but I see now that It wasn't worth it more . I colored this one jet black the very same day I got it .it didn't alter the quality of it . For now it doesn't shed much either . I ve had it for about a week . It is worth it and I m happy about it :D just have to wait and see with time but for now it looks great . Ok so I just got the hair today and it's amazing this is the 2nd wig that I've gotten from this hair company and both are amazing the hair is soft and shedding and tangling is minimal AND IT JUST STAYS LIKE THAT EVEN IF YOU SLEEP ON IT! So far, I love this unit . I customized it by myself to make more realistic however, it was beautiful to start. The hair is soft and I love the curls! Don't think! Just buy! I love this product, the hair is soft and beautiful with no weird smell. I have not had any shedding or tangles. The best wig I have ever bought online. I'm so thankful and happy that this didn't turn out to be a scam. This product is really lightweight and fluffy after each and every wash. The unit was very natural looking and I kept getting compliments to the point people could not tell it was a wig. I do blend my own hair into the product for this look, however, even just using glue to lay the product in place is fantastic as well. This is the first time human hair wig purchase! Well, I was so happy to see my package after reading the reviews. I just knew this was going to be great. When I got the box it was so small. I just knew I was going to be disappointed. When I open the package. This hair felt soft and smelled nothing. You do have to pluck the hair line. Yes it doesn't shed. It's a wonderful wig Overall. This is a beginner friendly win. You can bleach or leave lace alone. I wanted to leave a picture. Didn't know how. Absolutely love this wig & will definitely order again in the future very easy to flat iron straight & went right back curly when washed I wish I could have customized the size. It was perfect the shipping was fast I will definitely recommend!! This wig is a winner! It is extremely comfortable. I actually forget I'm wearing it until someone approaches me to ask where I get my hair done. I think it is a flattering look for all face shapes. Wearing it out makes me feel confident and secure. Thank you so much. Make some more!! !